Have wifi date enter, then flicker, no wifi data, then off. Have RF remote data or press key operate, then flicker, free time off. 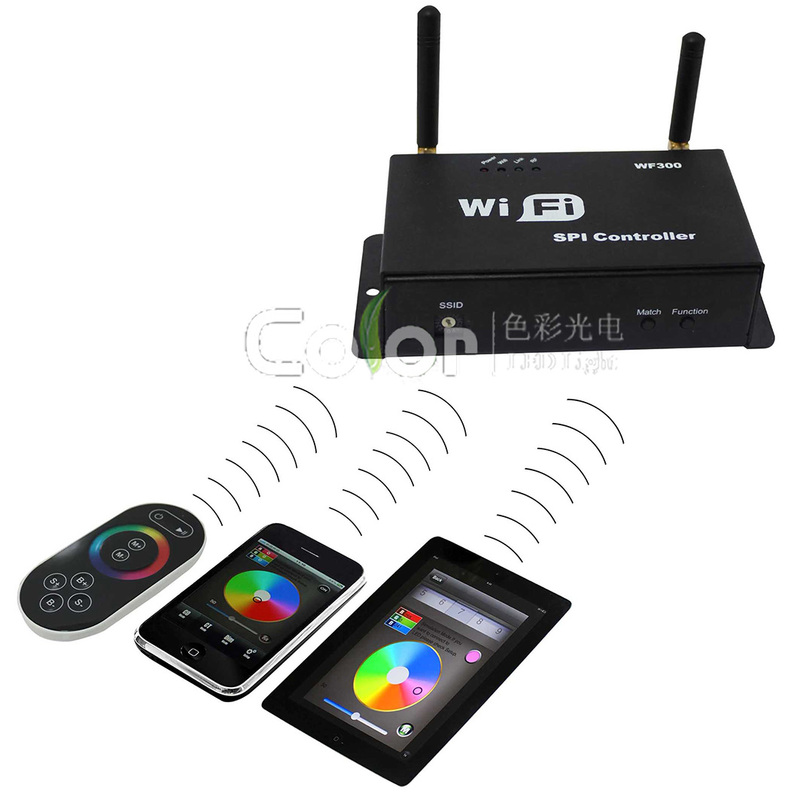 The dial code is used for setting LED-WiFi controller Ssid number, corresponding table as below. ed, Ssid number immediately be modified, so you need to note that it need to search and connect again. LED Strip according model connect corresponding port. The first time use the controller and remote control, maybe because the controller address and remote control address is not match, it will cause the remote control can not control, at this time, it need to use this button to make this 2 address matched. Use method: first, press the controller "Match" key, at the same time press any key of the remote control, more than 2s, now the remote control indicator light RF will flicker 3 times, release "Match" key, then finished. “Function” key is a composite button, it have switch and mode change function. Short press(less than 1s): mode change.